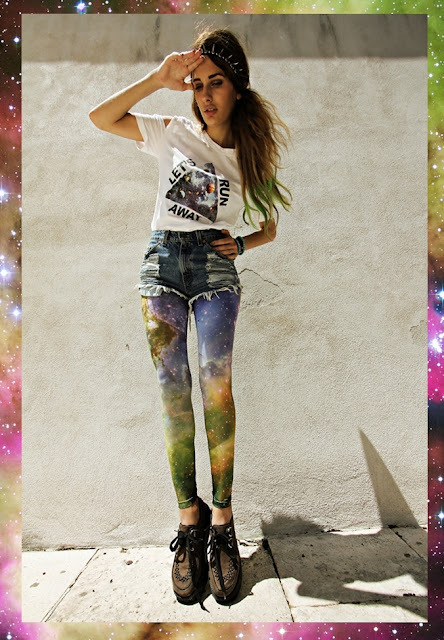 Finally got my galaxy tights and galaxy triangle shirt. Everyone's crazy about those galaxy prints, I see them everywhere. I had an iPhone galaxy case, but my friend lost it. That was my first galaxy. I saw a tutorial on how to do your own Vans galaxy, and I'm thinking about doing it. Why do I like galaxy? I like only those galaxy designs that have a lot of pink, purple and blue in it. Not a big fan of green. And when they have a lot of tiney stars. But enough galaxy talk. The most hipster galaxy photo I fund on tumblr. Fabulous! You're so chic and fashion forward! OMG I love your style, it's very original. But. You have to eat, you seem like you're on a diet. Don't do that to your self. 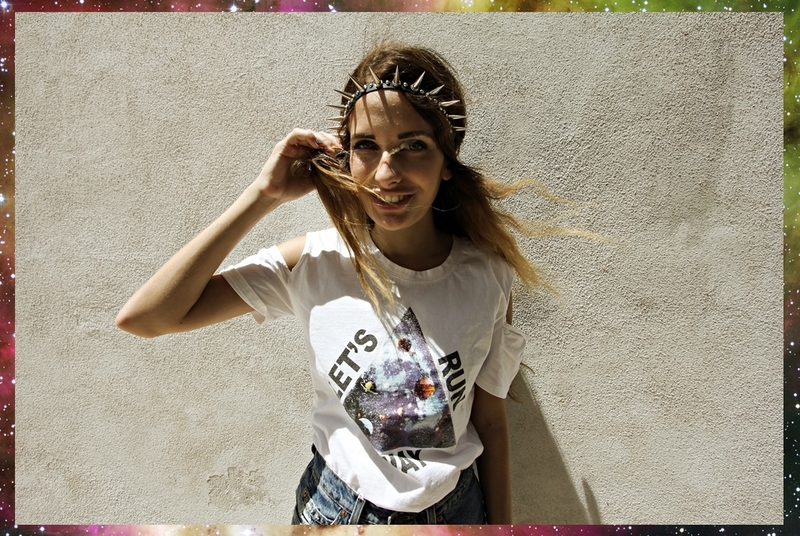 volim galaxy, savrseno izgleda outfit, ali ovaj Spikey headband mi je slag na torti, savrsen! awesome, love your spike headband! e što nisi upisala arhitekturu? vidim da ti piše da pravo studiraš? love the tights under the ripped denim! you look out of this world! You're so cute. 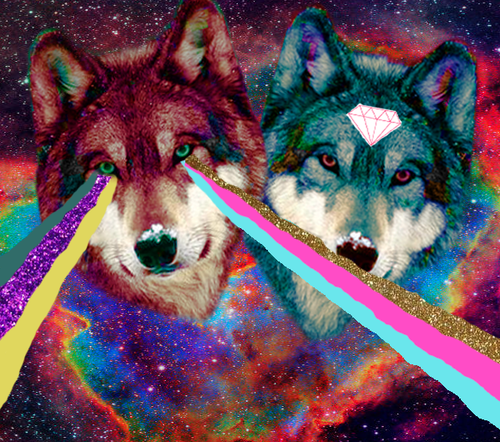 Super su leggings. hi! thanks so much for your comment! Super, bas mi se svidja! Thank you for your sweet comment on my blog Isabella! I love this look! You are creative! Galaxy super beautiful Girl! 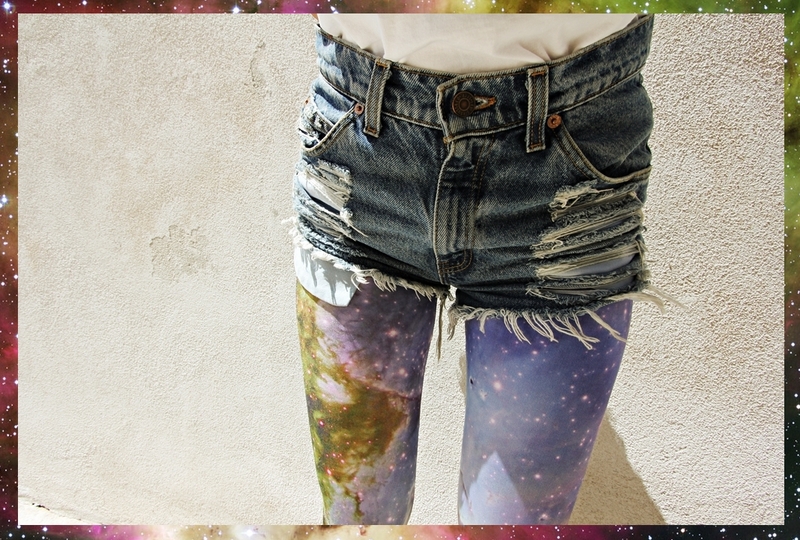 !I think i would never wear those galaxy leggins but i like them on youuuu!! I have a question for you:Way yor shoes(foot) on every picture look so big? Anyway,big hug for you,you are great! Definitely galaxy enough! You look amazing! You style is amazing you look fab! Thank you for your lovey comment! Galaxy print is very popular right now. You have a great style dear!!! Would you like to follow each other?